Hyderabad: In good news for chronic insomniacs, an ongoing study at the WellSpan York Hospital in the US to assess the impact of "Heartfulness Meditation" on insomnia has shown promising results. Twenty-eight participants diagnosed with chronic insomnia completed an eight-week study involving the practice of "Heartfulness Meditation" as an intervention to help with insomnia. The pre- and post-Insomnia Severity Index (ISI) scores were measured. "The mean ISI scores reduced almost by half. Interestingly, some patients were able to come off their pharmacological treatments as a result of the practice," the study claimed. "Heartfulness Meditation" is a simple heart-based meditation practice that helps with stress, burnout and emotional wellness. The simplified Raja Yoga meditation techniques of "Heartfulness" are designed to suit modern-day hectic lifestyle and are effective in improving sleep and quality of life when practised regularly. Over a million people in 130 countries are estimated to be practising "Heartfulness Meditation". 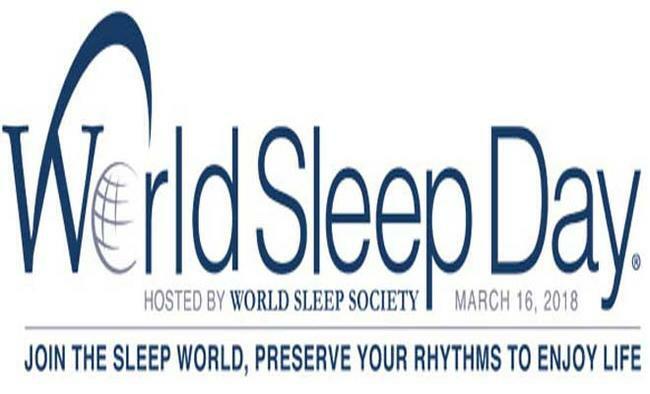 Daaji (Kamlesh Patel), the fourth global guide of "Heartfulness", believes sleep is essential to help maintain mood, memory and cognitive performance. "Daytime alertness and memory are impaired by loss of sleep, especially when it is sustained over a few nights. For many, meditation has become a mainstream practice over the years and the study on its impact on alleviating sleep-related diseases is very encouraging," he said. A growing body of medical evidence links inadequate sleep with anger, anxiety and sadness. A significant proportion of the adult population suffers from sleep problems and many of them potentially have chronic insomnia. Treatment options include both pharmacological and non-pharmacological measures. Pharmacological treatments may be associated with significant adverse effects. In different studies, approximately 25 per cent of adults mentioned that their sleep was not satisfactory. At least 10-15 per cent have symptoms of sleep deprivation, negatively affecting their daytime work, while 6-10 per cent meet the diagnostic criteria for insomnia. "While the situation is quite alarming, there is hope beyond medication. The results of the study on the effect of 'Heartfulness Meditation' points towards the alleviating effect of meditation on sleep and sleep-related disorders," said Raja Amarnath, a senior consultant at Apollo Hospitals, Chennai. Chronic shortening of sleep time results in circadian rhythm disorders. Sleep problems are also prevalent among children and teenagers due to the availability of computer games, Internet and television. Studies show that this has resulted in obesity, cognitive impairment and emotional disturbances. In adults, sleep disturbances lead to a wide range of health problems such as diabetes, cardiovascular disease, anxiety, depression, early aging, alcoholism and other substance abuse. Chronic sleep restriction among many individuals may eventually impact society in terms of loss in productivity and increased health costs. Several studies have shown that meditation can fight insomnia and improve quality of sleep, in turn, improving health. According to the National Science Foundation in Virginia, our brain produces 50,000 thoughts per day. Ninety-five per cent of these thoughts are repetitive, restrictive, and a spiral of anxieties and worries about the past and future. During sleep, there is a reduction in heart rate, blood pressure, respiratory rate and minute ventilation, and there is decreased oxygen consumption and carbon dioxide elimination. Meditation induces similar physiological changes, except that the person remains alert although the physical body goes into a state of deep relaxation. Meditation augments the synthesis of melatonin in the pineal gland, a hormone that regulates the natural sleep cycle. Stress inhibits the production of melatonin. Meditation regulates the mind, directly reducing anxiety and depression. This effect is noted in both beginners and advanced meditators.